We have tested the best air purifiers for smoke from cigarettes, cigars, weed & wildfires. The Airmega cleans huge areas – up to 1500+ sq.ft. It performs very well yet remains quiet, compact and displays air quality and filter changes. The 4 stage filtration helps with both smoke and odor removal from your home. Air and filter quality indicators are great features that notify users of home air quality.. 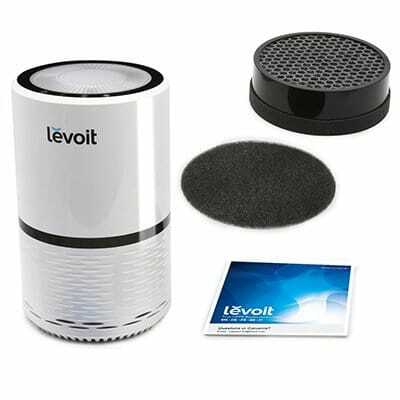 The Levoit is a small yet powerful purifier with 3 filtration stages, 3 speed setting and 2 light setting for brightness. 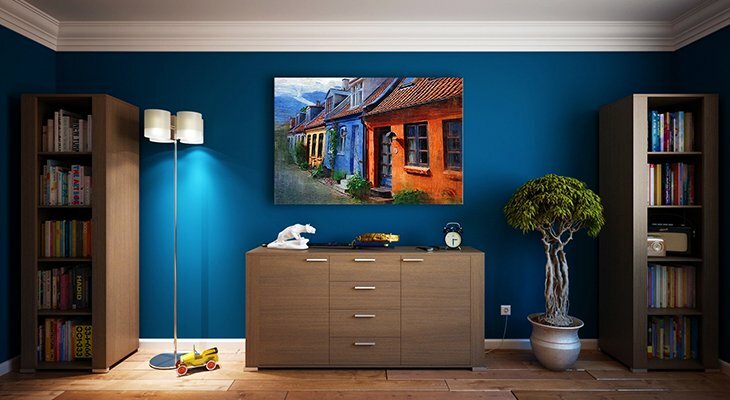 It is perfect for bedrooms and condos. We all want clean, healthy air to breathe, right? Information abounds on how contaminants and hazards (particularly various types of smoke) in the air we breathe can create health concerns, so it certainly makes sense to do something about the air in the rooms of your home. Compounding that concern are environments where smoke is intentionally introduced into the atmosphere, such as if you tend to be a smoker. Additionally, some areas can be prone to wildfires. Having a little cigar smoke in your room is one thing, and while we are not saying that any level of smoke is safe to inhale, if your outside air is saturated with smoke from a large fire then you can count on the air in your house becoming more dangerous as the contaminants are contained and have nowhere to go, nor any wind to blow them away. We have tested the best air purifiers to aid in the removal of smoke from cigarettes, cigars, marijuana (yes, we’ll discuss “weed”), and wildfires, giving you the cleanest air possible for your home. HEPA is an acronym for High-Efficiency Particulate Air. Filters that are classified as “HEPA” means that they can trap over 99% of particles that are as small as 0.3 microns in size. For reference, 0.3 microns is pretty small; it equates to 0.003 mm. HEPA filters are among the most common types used in air purifiers, mainly because the air is purified through the construction of the filter material itself and not through a process that may emit harmful byproducts into the atmosphere. Carbon air purifiers utilize filters that have an activated carbon component to them. Activated carbon is basically charcoal that has been modified in some manner (by heating or chemical treatment) to increase its’ natural ability to absorb contaminants in the air, such as VOC’s (volatile organic compounds), odors, and other harmful gases. UV air purifiers take advantage of the properties of ultraviolet light (UV-C wavelength, in particular). UV-C light is actually the most harmful type of UV radiation, but when used in a controlled application such as an air purifier it is actually very effective. In essence, air is pulled through some type of filter (such as a HEPA) and then it is exposed to the UV-C radiation, which destroys contaminants at the cellular level. 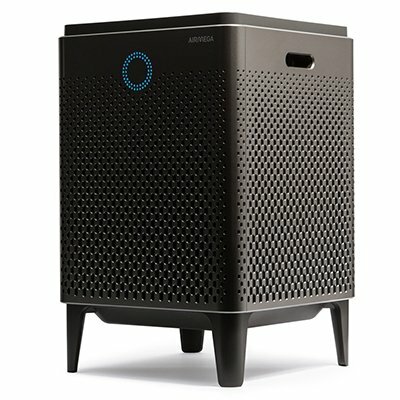 Air purifiers based won ionic technology are unique in that they have no filter. In fact, many models have no motors or moving parts at all. They operate under an electric principle where a set of plates internal to the filter have a negative charge generated on them. The theory is that this will draw particles out of the air and have them stick to the plates. Keeping with the same idea as changing a filter periodically to ensure the most efficient operation, ionic filter maintenance involves washing and keeping the plates clean. While it is a fact that ozone – just as with UV-C – can be damaging to your health, there are benefits to using it in a manner where exposure is limited. Without getting into a complicated chemistry lesson (I hated chemistry in school anyway), these units generate controlled amounts of ozone (which is basically oxygen with an extra molecule bonded to its’ molecular structure) and release it into the air in your room. The ozone then neutralizes molecules of air contaminants, pretty much destroying them in the process. It is a very effective technology but it may not necessarily be the best to have in your home as overexposure to ozone can lead to irritation of the lungs. That’s not to say they are blatantly unsafe, though; you would just need to be careful and make sure the unit is working properly at all times. PECO is another acronym, similar to HEPA, for a type of air purifying technology. Standing for Photocatalytic Electrochemical Oxidation, PECO has a fairly advanced technology that uses light energy (combined with a specialized filter) to completely oxidize harmful particles at a molecular level. With advanced technology, though, comes an advanced price – these units are more expensive than others on the market. Which Type is Best for Removing Smoke? While every type of air purifier we have discussed has the ability to purify the air in your home, some types are better suited to specific purposes than others. From our research, we have found that, based on the limitations of the different types of filtration, that a hybrid solution may be the best option. Hybrid units that contain both HEPA and carbon filter elements are most likely the best for removing all of the contaminants that smoke contains. HEPA filters are great for filtering out the small particles that smoke contains, but they aren’t very strong at removing odors. The use of a carbon filter is great for absorption of odors and gases but may not filter out smaller contaminants as well as a HEPA would. Put the two together and you’ll have the best option available. These types of units are also referred to as multi-stage, and the bottom line is that multi-stage/hybrid units are without a doubt the best to own and operate. Choosing the right air purifier for your application isn’t a decision that can be made just by purifier type alone. There are several other factors that need to be considered; let’s take a look at them so you can make the most informed purchasing decision possible. Air purifiers come in different ranges as to how many square feet of surface area they can effectively purify under normal operating conditions. This capacity varies depending on the model and the manufacturer, so paying close attention to the purifier’s specifications is pretty important. 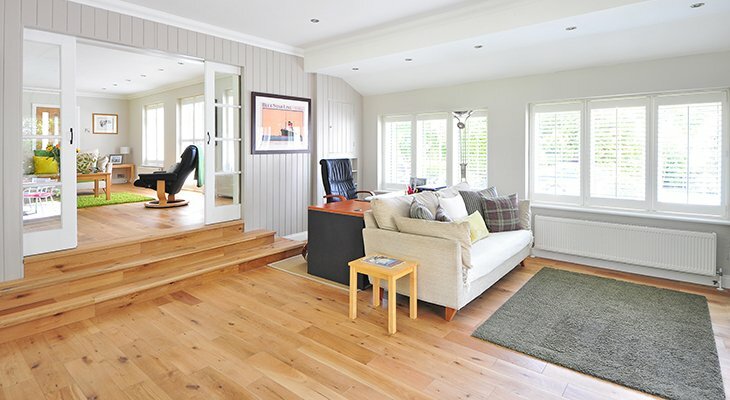 Figuring out the square footage of a room is pretty simple – even if you aren’t a math whiz! Simply measure the width of the room, then the length. Multiply length x width and there you go! For example, a room that measures 10’ x 12’ would be 120 sq. ft. (10 x 12 = 120), and a room that measures 15’ x 20’ contains 300 sq. ft. (15 x 20 = 300). For most applications just targeting capacity by square foot is enough, but you can also get more detailed. Other factors that can be considered are the CADR (Clean Air Delivery Rate, or how fast air is moved through the purifier) and the ACH (Air Change Rate, or how often all of the air in a room is completely circulated). The type of filtration that your air purifier uses may be one of the top conversations you need to take when making your buying decision. For light, general purposes it may be a fair statement to say that just about any type will work. That being said, each type has strengths and weaknesses that can make buying the wrong type a big mistake. It’s in your best interest to not just snap up any unit you come across; take the time to research the technology and make sure you are getting the right unit for your usage. Just as the different filtration types have different characteristics, the same is true for the life of the filter elements. For example, HEPA filters (depending on the size and amount of particulates in the air you want to remove) generally can last between two to five years. Other units such as ones that use an electric technology (ionic, for example) have no filters at all to wear out; in these cases maintenance is a matter of taking out the plates and making sure they are cleaned sufficiently for the best operation. The amount of particulate that an air purifier can effectively remove goes back to the filter type or technology that the unit uses. Using HEPA is a great example because it is widely viewed as one of the better technologies for removing particulates. HEPA specifications are common, but some units go even farther by having the capability to catch particles that fall under the criteria for Fine Particulate Matter (PM 2.5). In contrast, using activated carbon may not be your best bet for this purpose. It’s great for neutralizing odors but the particulate removing capability is less than that of a common HEPA filter. In the same light, an ionic unit will be better at collecting particles than at removing VOCs. In the end, you should educate yourself further on the different types and technologies available so you can make the best choice for your application. When you’re doing your research for the best air purifier for your needs, you’ll see a large range of sizes available. Some are designed for tabletop operation and some larger units can weight up to 20 pounds and are intended to sit on the floor. For the most part, air purifiers designed and sold in the general consumer market are extremely portable and have no need for a permanent professional installation. This high level of portability lends itself to the overall ease of use. Most are pretty simple as you can just turn them on and let them do their thing. Some may have more advanced controls such as low/high settings but it really doesn’t get much more complicated than that. Air purifiers operate at different noise levels based mostly on the technology which it uses. Most likely there will always be some level of noise in the unit and how much is “too much” is really subjective. A louder unit may be perfectly acceptable in a busy area of the house, but maybe not so much in your bedroom in the middle of the night. Then again, maybe you like a little background noise…it’s all up to your personal preference. Air purifiers run off electricity and can be simply plugged into any standard wall outlet. How much electricity they use is a function of the technology type and what the capacity of the unit is. For example, a typical HEPA filter-based unit will operate on a range from 50 to around 200 watts. In comparison, a standard electric space heater will run at a maximum of 1500 watts. Keep in mind that many people use air purifiers on an almost continuous basis, however. So, no – your electric bill won’t go up a huge amount. Many units are certified as Energy STAR compliant so that is a feature to look at if you are concerned about overall energy usage. It’s called “bang for your buck”. Does it really make much sense to spend big bucks on a top-level, upper-end unit if you don’t plan on using it that much? We say “no”! Don’t make the mistake of oversizing either. If your room is relatively small (say, for example, 100 sq. ft.) then you would be throwing your hard-earned money away if you bought a unit that has a capacity for five times that. That being said, having some level of reserve capacity isn’t a bad idea. Using our 100 sq. ft. example, a unit that can cover 200 sq. ft. would be more than adequate, and it will cost a whole lot less than a unit that is too big for where you plan on using it. How robust a manufacturer’s warranty is should not be over looked. Longer warranties are always the best as they show the manufacturer’s confidence in the quality of their products. That being said, it’s always best to read the fine print as some warranties may completely cover everything while others may cover certain parts for different periods of time. Shorter warranties do have some value but always opt for a longer one if comparing two similar models. 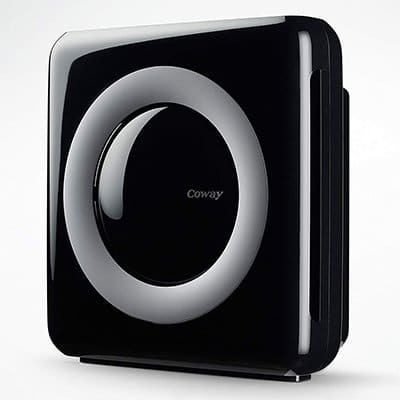 Our first choice for the best overall air purifier on the market is the Coway AP-1512HH Mighty Air Purifier with True HEPA and Eco Mode. It is packed with many of the features and benefits of units that are much larger and have a higher price point. Don’t let the small size fool you into thinking that this unit isn’t everything that a great air purifier needs to be. Boasting a multi-stage filtration process (pre-filter, odor neutralizer, true HEPA filter capability, and a bipolar ionizer) you can be assured that all of the harmful compounds from tobacco smoke will be taken out of the air in your room, and that typical tobacco smell will be a thing of the past as well. Monitoring how well the unit is purifying the air in your room is a breeze thanks to a unique LED feature that changes colors based on the overall quality in addition to an indicator to let you know when it is time to perform filter maintenance. Operating is very easy and flexible. With options for an automatic mode along with a timer and a three-stage fan, you’ll be breathing fresh, clean air in no time. Marijuana smoke has a unique odor that can be much more pungent than that of tobacco smoke. Our choice for the best air purifier for marijuana smoke is the Blue Pure 211+ Air Purifier. The Blue Pure 211+ has an efficient three-stage filtration process that is sure to remove that pungent weed odor out of your room. Starting with a washable pre-filter that traps larger particles and suspended pet hair, the treated air then passes through an activated carbon filter that will neutralize virtually all odors, and the corresponding particle filter is designed to capture Fine Particulate Matter (PM 2.5) which has been shown to cause health issues with prolonged exposure. A CADR rating of 350 cubic ft./minute means that all of the air within a 540 sq. ft. room will be completely passed through the filtration process five times an hour, guaranteeing consistently fresh, clean air that is free from marijuana smoke aroma. This unit is Energy Star rated for maximum energy efficiency, and operation is extremely simple with only one button on the control panel. Additionally, sound levels while operating aren’t a concern either as the unit has a sound level range of 31 – 56 dB. Roll ‘em up and smoke ‘em if you got ‘em! The Airmega 400 (The Smarter Air Purifier) is designed with large capacity in mind, which makes it the perfect air purifier for environments where wildfires are prone to occur. Capacity for even the largest room isn’t a concern as it will effectively purify up to 1,560 sq. ft.; that’s roughly the size of an entire small home. Couple that with an impressive CADR rating of 350 and you are assured that the air in your home will be purified at an impressive rate. The multi-stage filtration process is comprised of a pre-filter for larger particles and a proprietary Max2 Filter that joins the benefits of true HEPA capability with the odor neutralization power of activated carbon. Additional features include an LED-based real-time air quality monitoring system (you can “see” how clean your air is at a glance), a Smart Mode that automatically adjusts fan speeds based off the monitored air quality, and a filter change indicator that not only will tell you when to replace the Max 2 Filters, but also when to clean and wash the reusable pre-filter. Operating couldn’t be more convenient with the available app that is supported by both iOS and Android. Overall, for larger applications, the Airmega 400 (The Smarter Air Purifier) just can’t be beaten! 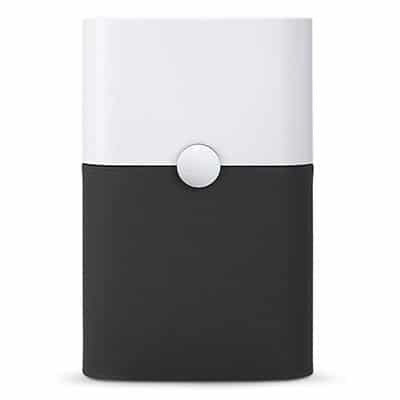 Compact, stylish, and full of features normally found in more expensive units, the Levoit LV-H132 Air Purifier with True HEPA is the unit we have picked for the best small unit for handling smoke-related hazards in the air. We’ll warn you though – small certainly doesn’t mean a sub-standard unit. Featuring the same multi-stage filtration processes (pre-filter, HEPA, and activated carbon) that higher-end units possess, you’ll be sure to breathe deep and clean, knowing that your air is purified to a level far above that of having no purifier at all. This unit is perfectly sized for those smaller areas such as a bedroom, and the design has some unique features geared towards that application such as a handy nightlight. Not only is your air clean when you sleep in the middle of the night, but you can find your way to the bathroom as well! A low sound level when in operation makes sure that you aren’t being kept awake while your room is being purified. The stylish design will look great on your nightstand or end table, and operation is quick, easy, and flexible with a three-stage fan. 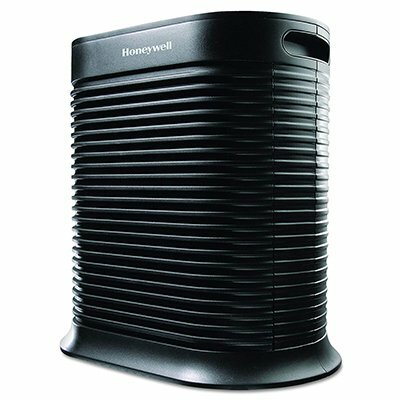 Designed with effective air purification for somewhat larger rooms, the Honeywell True HEPA Allergen Remover HPA300 is what we consider the best air purifier for medium-sized applications. As with most effective units, the HPA300 utilizes a multi-stage filtration process comprised of a pre-filter that has an activated carbon element for odor and VOC absorption, and the second stage HEPA filter will capture the finer hazardous compound particles found in all kinds of smoke. The filters are designed for easy and quick replacement (no tools required) on a set time interval (3 months for the carbon pre-filter and one year for the HEPA). That timing is just a good guideline though; based on the amount of use and the level of smoke in the air they may need to be changed out more or less frequently. A convenient filter change indicator will tell you when it’s just the right time to keep your air efficiently purified. Adding to the purifying capability is a high CADR rate of 300, allowing the entire volume of air within a 465 sq. ft. area to be completely filtered up to five times an hour. Possessing a sleek and modern design with a stylish black finish, the Honeywell True HEPA Allergen Remover HPA300 is the perfect option for those rooms that are not too big…but not too small either. The smoke produced from using cigarettes and cigars is most likely to be the biggest contributing factor with wanting to install an air purifier. Tobacco smoke has a distinct aroma that can seep into just about every part of your home, including your clothes, furniture, and carpet. Secondhand smoke has also been shown to have severe health implications. Taking those two factors into account, it’s not a bad idea to get the best air purifier that meets your needs. Let’s tackle the elephant in the room. Yes, I’m talking about marijuana, not a weed that may have caught fire in the field out behind your home. Marijuana is known for having a particularly pungent aroma that is very easily identified. Have you been to a music concert lately? It’s pretty rare to go to one and never get occasional whiffs of that telltale odor. Due to its’ strong nature, it can be very difficult to neutralize, especially within a confined space such as a room in your home. Wildfires aren’t necessarily the most common source of air pollution, but in the event, you are in the area of one, there is no mistaking the effect that so much smoke going into the atmosphere will have on the air quality within your home. Homes are anything but airtight, and whatever is in the air outside your home will most certainly find its’ way inside and go to larger concentrations since it is in an enclosed area. To ensure the best overall operation with removing the hazards from smoke in your indoor air, having a multi-stage unit is your best bet. Multi-stage doesn’t necessarily mean several stages of the same technology, however. As we touched on in the “Which Type is Best for Removing Smoke?” section earlier in our discussion, utilizing a hybrid approach – each with its’ own stage of operation” – will be the most efficient. When air initially enters the purifier (many times drawn in by a fan), it is pulled through a pre-filter (or two) that removes most of the bigger particles. Sometimes these stages may also have antibacterial properties as well. Best at removing odors and VOC’s, here is where the “stink” from all types of smoke is taken out. Ionic technology gives the air one more blast of treatment. Contaminants such as airborne viruses or bacteria are eliminated before the purified air is delivered back into the room. It’s important to note that this description isn’t an absolute for all multi-units; manufacturers may package different methods together based on the overall purpose of the unit’s design. Without a doubt, air purifiers work to make your indoor air cleaner and healthier to breathe. That’s a pretty general statement, so let’s take a look at some individual applications where an air purifier can be of your best benefit. Do these air purifiers actually work? Yes. Air purifiers are an excellent resource for pulling all of the organic compounds from smoke out of the air, giving you clean air and neutralizing odors at the same time. Will they get rid of the smell effectively? They certainly will, but if odor removal is your primary concern then make sure you are getting a unit that uses a filtration technology that is best suited for that purpose. As we have pointed out, activated charcoal is great at taking the “stink” out of the air. Should I consider using more than one purifier at a time? Given the fact that there is a tremendous amount of models on the market that have different capabilities and capacities, we would recommend “no”. Why pay for several units when you could get one good multi-stage unit with more than adequate capacity for your room? Running one unit will save on your energy costs as well. You can’t really get any easier! Most units simply set wither on the floor or on a table or desktop, and then they plug into a standard wall outlet. Are these systems easy to maintain? All units will have some level of maintenance, but how much will depend on the type of filtration that you are using. For example, HEPA filters will need to be replaced as they become saturated with microscopic particles over time, and ionic units will need to be cleaned on regular basis (the frequency is typically recommended by the manufacturer to ensure the best operating levels possible). What else can you do to remove the smell of smoke inside your home? Are air purifier’s safe and healthy machines to run in my home? For the most part, yes. The biggest thing to keep in mind is that some technologies (ozone generators, UV radiation, etc.) can be hazardous processes, so make sure to always use the units as intended and designed by the manufacturer. What are the main differences between cheap and expensive brands? Truthfully, the answer to this really could apply to just about any consumer product. Cheaper units may tend to have quality issues (both in materials and workmanship) leading to potentially being dangerous if the technology used is one of the more hazardous options. They also may simply not work as well as a more expensive unit. This is a lesson learned, for sure. Cheaper units may be more attractive initially due to the cost savings, but what you really are taking on some risk that the unit won’t perform as advertised or as intended. The old saying that “you get what you pay for” certainly applies! There’s no question that the health hazards that are created by having smoke in your home can be dangerous. Taking the time to thoroughly research and purchase a top quality air purifier (such as the Coway AP-1512HH – our #1 pick) is time and money that will most certainly be well spent. With the right unit for your application, you will be able to rest assured and breathe pure, clean air for years to come!